Home / Automotive / News / Miniature Formula 1 Grand Prix Idea Looks Fun, But Mostly Silly! This is one funky idea, done by the UK media company Dennis Publishing and automotive designer Javier Oquendo. 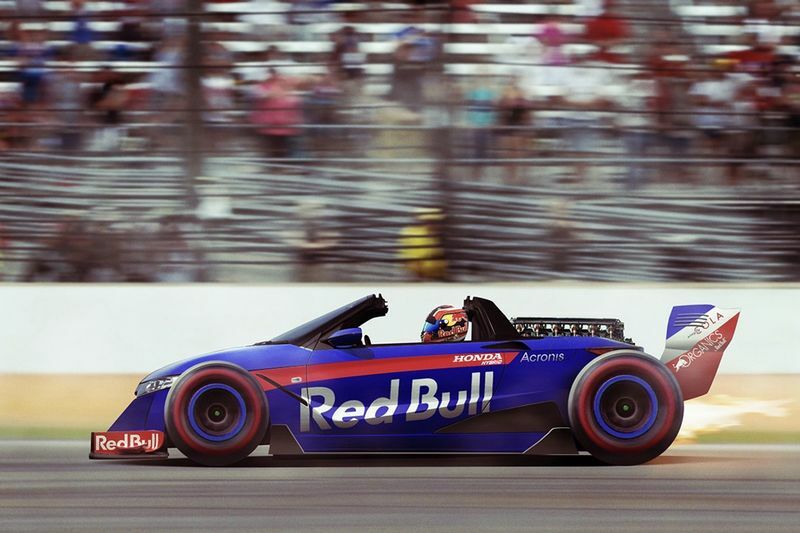 The team proposes some radical new changes to formula one racing cars, which is a new league on its own, and would have major car companies take their tiniest line of cars and turn them into racers for a miniature Grand Prix. Needless to say, it would definitely pose new challenges to drivers and engineers alike, undoubtedly providing an interesting racing experience for viewers. Here is what these little race cars would look like complete with massive tires, fins and sponsor decals. There is something quite laughable about picturing a smart car going at a speed of 100mph plus, but that's perhaps why this idea is so alluring. It presents a racing challenge but also doesn't take itself too seriously. Many of the top cars in the Grand Prix are affiliated with cars such as the Fiat 500, Smart car and so on. Devised by Dennis Publishing and rendered by Javier Oquendo for Carbuyer, this theoretical work sees everyday vehicles at top speeds. "Every driver on the grid would have a blast trying to extract maximum performance from these diminutive creations – and it would probably be pretty entertaining to watch, too," the team said." Be sure to indulge in the gallery for a selection of crazy creations of supermini F1 cars. Formula 1 2018 Calendar Revealed With First Triple Header! Video: Smart Fortwo Vs Mercedes S-class: Crash Test!